Glaucoma, the disease that affects nearly 70 million people globally, is still a mystery for specialists. At present, little is known about the origins of the disease that destroys the retina and the optic nerve. A new study by researchers at MIT and Massachusetts Eye and Ear found that glaucoma could be an autoimmune disease. According to Science Daily, researchers have shown in the mice study that their own T-cells of the body are responsible for the progressive degeneration of the retina seen in glaucoma as well. It also appears that T cells attack neurons of the retina as a result of a previous interaction with bacteria that normally live in the human body. The discovery suggests that it may be possible to develop new treatments for glaucoma by blocking autoimmune activity, the researchers said. "Information provides a new approach to preventing and treating glaucoma," said Jianzhu Chen, biology professor at MIT. One of the main risks associated with glaucoma is the increase in intraocular pressure, which usually occurs when people age. Usually, in the early stages the disease is not detected, and people find that they suffer from glaucoma only after half of the retinal ganglion cells are destroyed. Much of the treatment focuses on lowering intraocular pressure, but in many patients the disease worsens even after the pressure returns to normal. In studies in mice, the effects were the same. "This has led us to believe that this change of pressure is triggering something progressive, and the first thing we thought was the immune response," said Dong Feng Chen, a researcher at MIT. To test this hypothesis, the researchers analyzed the immune system cells in the retina of the mice and discovered the existence of T cells. Usually T cells can not penetrate into the retina, which is protected by a layer of cells that form a barrier. Researchers have found that when the intraocular pressure increases, T cells can pass the barrier and penetrate into the retina. To analyze the effects of T cells on glaucoma, the researchers generated high intraocular pressure in mice. They found that at the time of pressure increase, only a small part of the retina is destroyed. Further studies have shown that glaucoma-associated T cells attack thermal shock proteins. Normally, T cells should not attack host proteins. 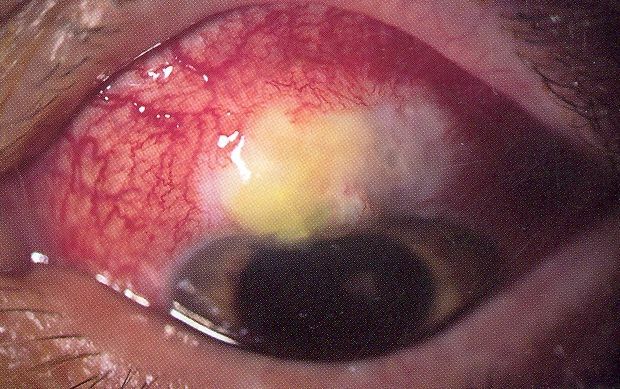 In tests for patients with glaucoma, specialists found that they had a five-fold higher T-cell than normal.